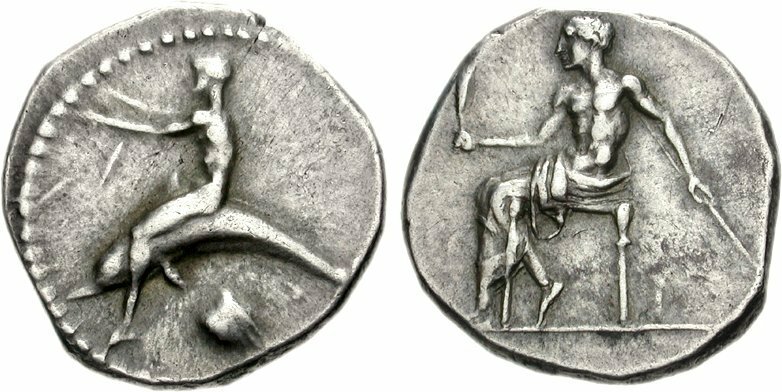 Obv : Head of Athena right, wearing crested Athenian helmet decorated with Skylla. 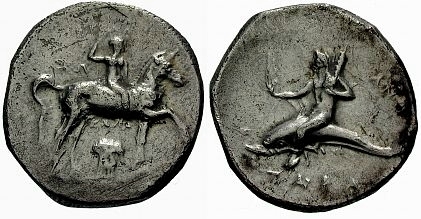 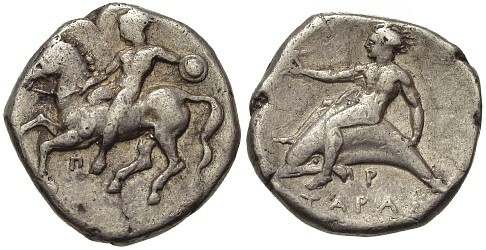 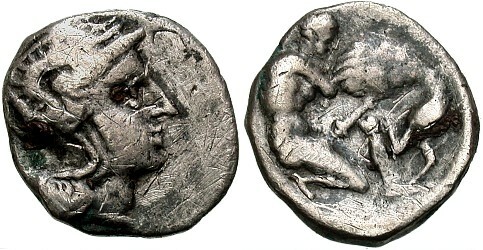 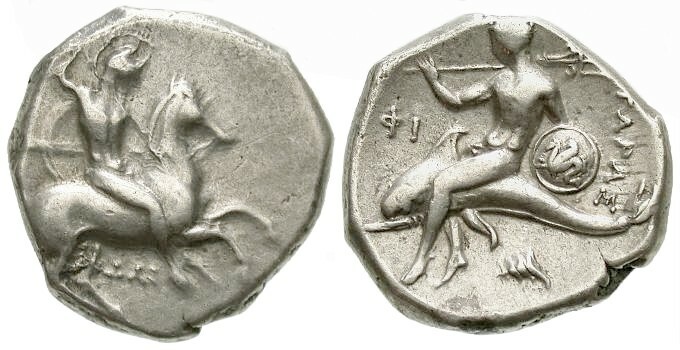 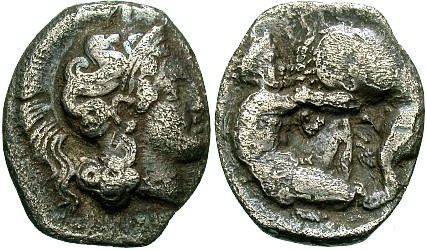 Rev : Herakles kneeling right, strangling the Nemean lion; club behind. 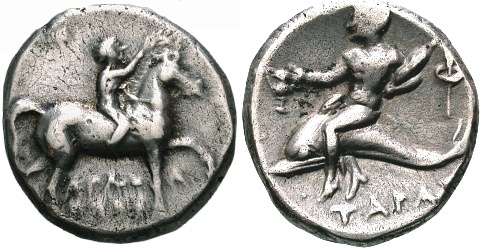 Taras astride dolphin right, holding crested helmet; star before and behind, FI below. 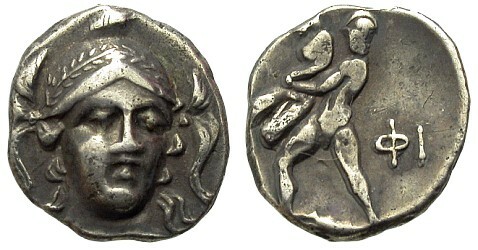 Obv : Head of Nymph left. 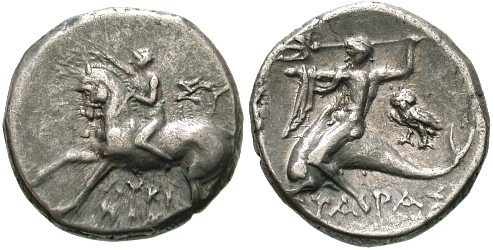 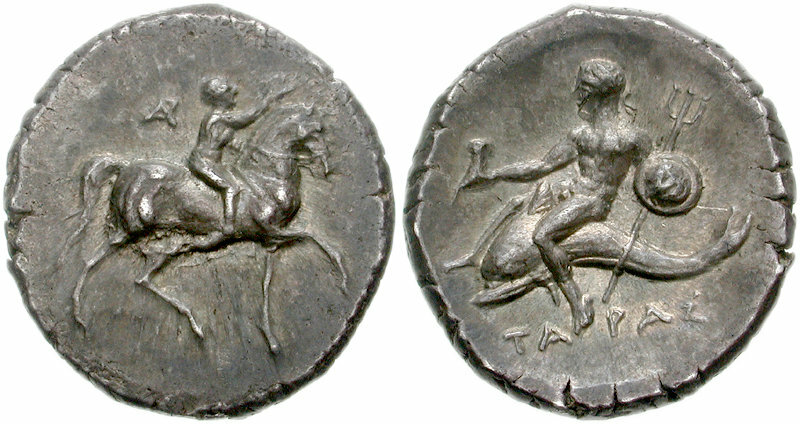 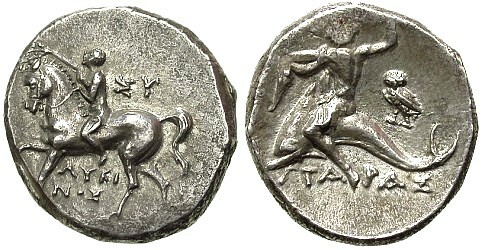 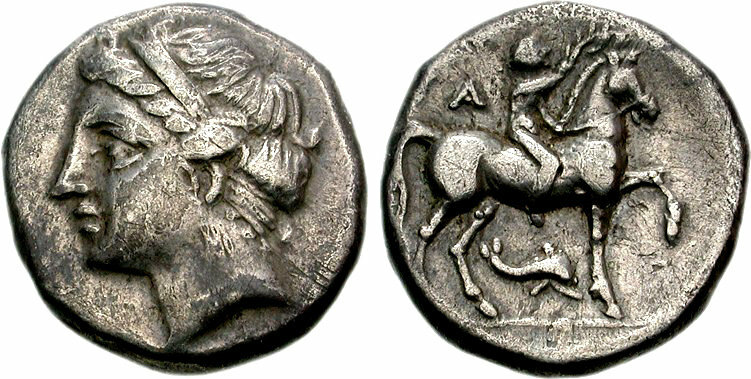 Youth seated on horse standing right, holding a wreath over the horse's head; rhyton beneath horse, dolphin in front, TA behind the rider. 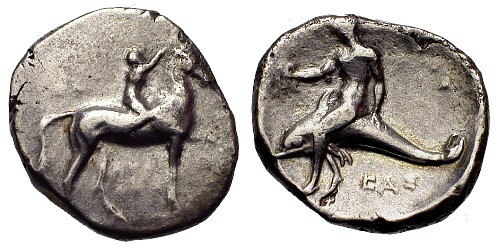 Evans Period VII, V (281-272 BC, the Pyrrhic Hegemony). 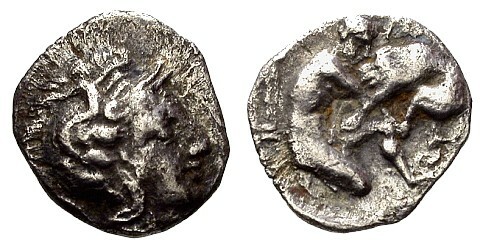 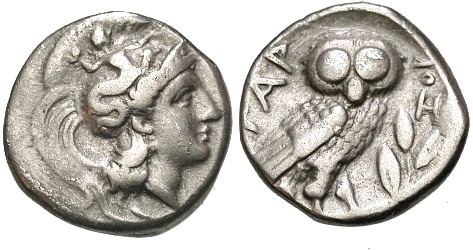 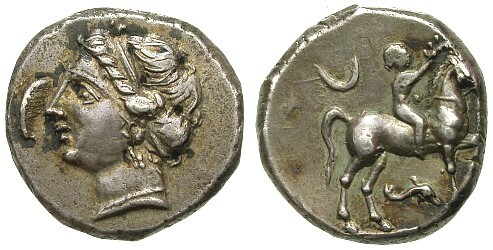 Head of Athena right, wearing crested helmet decorated with Skylla hurling rock; I on neckflap. 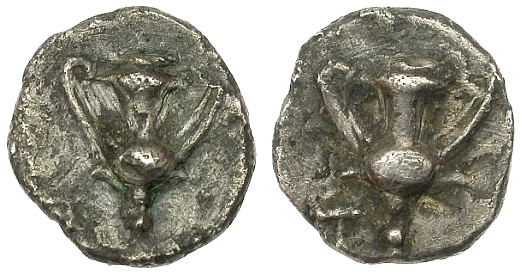 Owl standing left on olive branch; TAPA[N] to right, AΠ monogram to left. 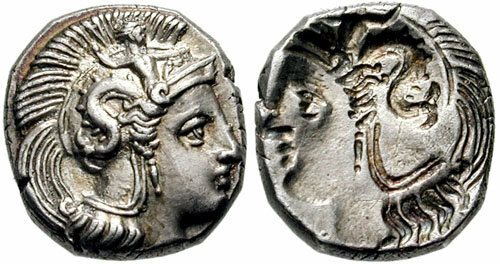 Obv : Head of Athena left, helmet decorated with Skylla. 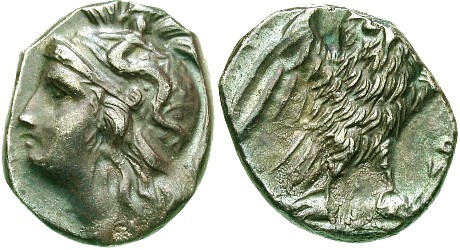 Owl with open wings standing right on thunderbolt; TAPANTINΩ[N] to left, ΣΩ to right.